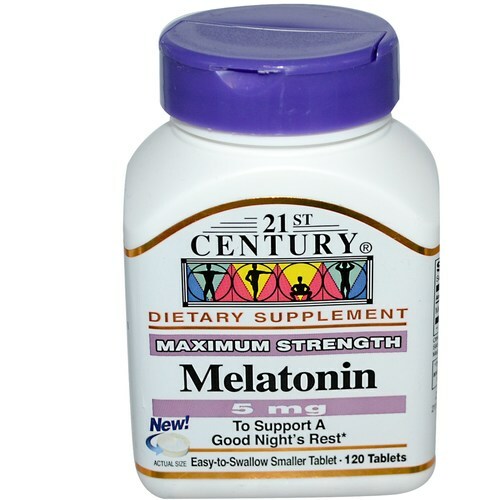 Melatonin from 21st Century comes in easy-to-swallow smaller tablets. 警告: Do not take if you are operating machinery or a vehicle. Not intended for use by pregnant or nursing women or those under the age of 18. Keep out of reach of children. Do not use if product appears to be tampered with or seal is broken. Store at room temperature. 注意事项: Gluten free. No added sugar, yeast, preservatives, artificial flavors or colors. 推荐用法: Take one (1) tablet thirty minutes before bedtime, or as directed by your healthcare provider. Do not exceed recommended dosage.